Home Our Opinion Is this the worst Germany in history? Is this the worst Germany in history? A loss to Holland and now a loss to France. Are we witnessing the worst Germany in history? This summer, for the first time in 80 years, Germany got knocked out during the group stages of a World Cup. As the reigning champions, Die Mannschaft fell victim to South Korea, but the source of failure ran far deeper. Intertwined in the midst of all the fuss surrounding Mesut Ozil, Ilkay Gundogan and Manuel Neuer was a team without direction who lacked the desire to compete. The same players who so effortlessly embarrassed Brazil on their home soil four years earlier were now left in the dust by a group consisted of Mexico, Sweden and South Korea. The ineptitude of the attackers hurt, but it hurt even more that a group of highly skilled professionals who’ve been together for so long couldn’t communicate on the pitch and find a way to score. Despite the slap in the face, the German football association opted to trust Joachim Low and let him stay at the helm. The UEFA Nations League kicked off with the public eagerly anticipating a resurgence. Yet, what they’ve seen so far are a draw (0-0) and a loss (1-2) to World Champions France and a heavy defeat to modest Holland (0-3) trying to recover from their own terrible spell of form. Even that lone goal against France was not from open play, but from the penalty spot. For a team so accustomed to winning and for a fanbase so accustomed to watching them win, what’s happening right now is completely unacceptable. What’s even more worrying is that there are no visible signs of improvement. Low is tweaking and experimenting, yet nothing seems to work. One obvious problem is the missing executor. From Uwe Seeler to Gerd Muller, from Jurgen Klinsmann to Karl-Heinz Rummenige and Miroslav Klose, Germany has always had that go-to striker who can convert when it matters most. They don’t have one right now and Low has to improvise. Based on evidence, the improvisation is not working out too well. Secondly, the defense, which has been the basis for success for every German national team over the years is going through a transition phase. Jerome Boateng is aging and past his prime, while Mats Hummels, as quality of a player as he is, needs an equal or better partner in order to shine. Phillip Lahm’s retirement has left a gaping hole at left back too. Thirdly and most importantly, the opposition seems to have figured out how to counter Joachim Low’s tactical approach. Combine all these main factors, add some more minor ones and you have a national team in disarray. Whether or not this is the worst German national football team in history is up for debate. However, one thing’s certain. Considering the quality of players emerging from this country at the moment, the problems plaguing them shouldn’t exist. 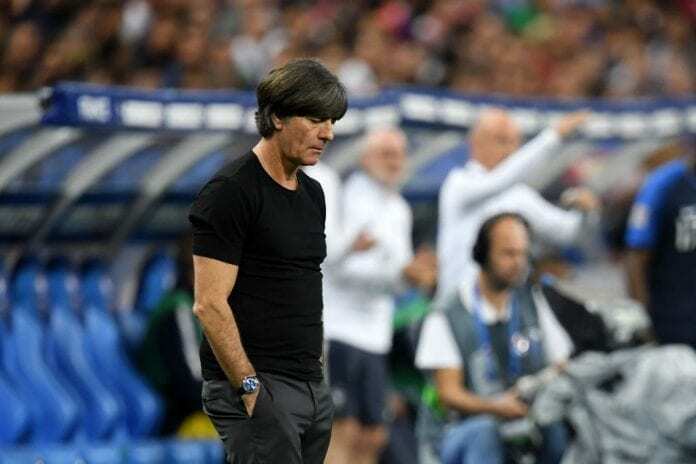 If this keeps up, we may very well see the last of Joachim Low on the coach’s bench. The Germans always rise, though, so you shouldn’t bet against them, especially since they’ll be hosting Euro 2024.